What is your name and role at Image Technique? I’m Philippe Flatt. Owner and Photographer. What is your business story? How did you come to start this business? Since I was 15 years old I had been taking photos including developing my own film and printing photos in a darkroom at home. I was fascinated by the photographic process and I admired the classic portrait photographers of yesteryear as much as I did the contemporaries of the present time. I think it was my association with using film that gave me an added appreciation for the preservation of one’s family history through a printed photograph. Holding an old photograph in your hand evokes memories in a different way compared to looking at images on a computer or portable device. I was lucky to be part of a family that loved photos- we had loads of albums at home. Image Technique was born in 2007. I had been working full time in the photography industry since 2000 for established studios. I wanted Image Technique to be as much about having an enjoyable experience as well as providing affordable quality products. I wanted the studio to reflect my approach to life which is to relax and have fun. What type of photo shoots do you offer? We offer all types of portraiture: Families, new born babies, toddlers & kids. We also offer portraits for business people in our studio and on location. Our studio has kitchen and bathroom facilities-ideal for newborn & baby shoots. Sessions are at a relaxed pace to ensure we get beautiful images every time. From these photo shoots our clients can choose between a wide range of premium quality finishes: Prints, framed prints, canvas, photo albums, acrylic products. We also offer digital packages or a combination of digital and print packages. One thing we do promise is no high pressure selling. In a nutshell I tell your story, not mine. I’m not here to promote my brand through the photos; I’m here to cater to individuals. Candid, playful, classical, or a combination of all of these. Because of this the style of the images can be quite varied. After all the images are for my clients, not me. The common element I strive for is to show the relationships, personalities and connection between people. I guess I also have a signature lighting style for portraiture; it’s usually very emotive yet flattering while avoiding the clichés of glamour photography. This harks back to the days when I was perfecting the contrast and tonal range of prints in the darkroom. We put a lot of time into preparing our photos before they are printed to ensure they look amazing. I prefer simple, timeless images that won’t date. We don’t often use props although we’re happy to if our clients ask. For example our newborn photos are a basket and flowerpot – free zone. I think a much more meaningful photo is a newborn cradled in their parent’s arms or hands instead of being placed in a basket. I think the baby will treasure those photos more once they have grown up. What do you love most about having a business in Marrickville? What is the most rewarding aspect of managing your own business? Being able to make a living from doing what I love and making people happy. My clients cherish their photos; they will keep them for the rest of their life so I really feel like I’m doing something worthwhile. I love that I’ve been able to provide a service that reflects the way I like to experience life; a lot of laughter and fun. Just as importantly being my own boss gives me complete control over the quality of the finished product I produce, I’m very particular about quality myself when I buy things or when I engage the services of a professional and this permeates into every aspect of my business. Are there any local businesses in the area that you love? Many! Some of the speciality food shops. I buy my spices and rice from Namaste spices on Illawarra Rd. There is a wonderful family owned Greek deli called Danas foods, I have been buying Birthday cakes from Athena Cakes for about 10 years. The best crispy chicken in Sydney comes from Thuy Huong, it’s amazing! I could go on and on, there are so many great businesses. 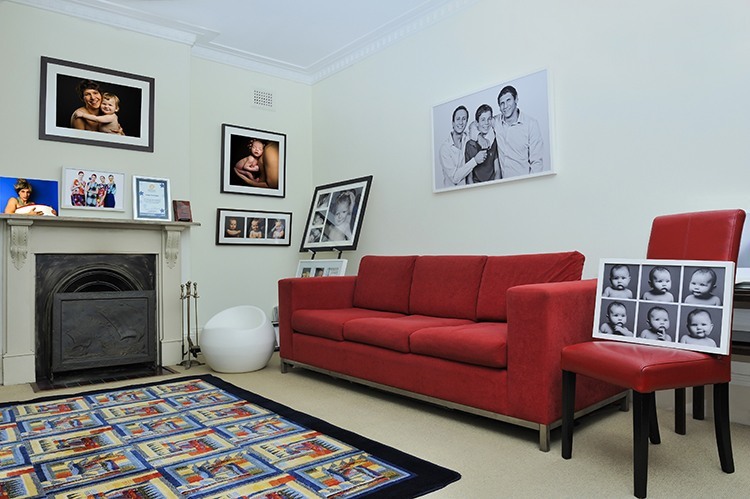 If you’re looking for a great photographer in Sydney, get in touch with Philippe today.